Where to Buy Weedone LV4 EC Herbicide, Weedone LV4 EC Broadleaf Herbicide 2,4-D Ester - 2.5 Gal - $99.95 for Sale with Fast Free Shipping! 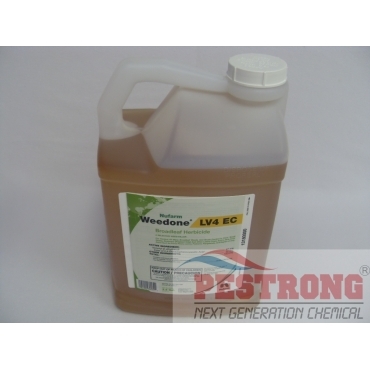 Weedone LV4 EC Broadleaf Herbicide 2,4-D Ester - 2.5 Gal was the first low volatile 2,4-D ester on the market. 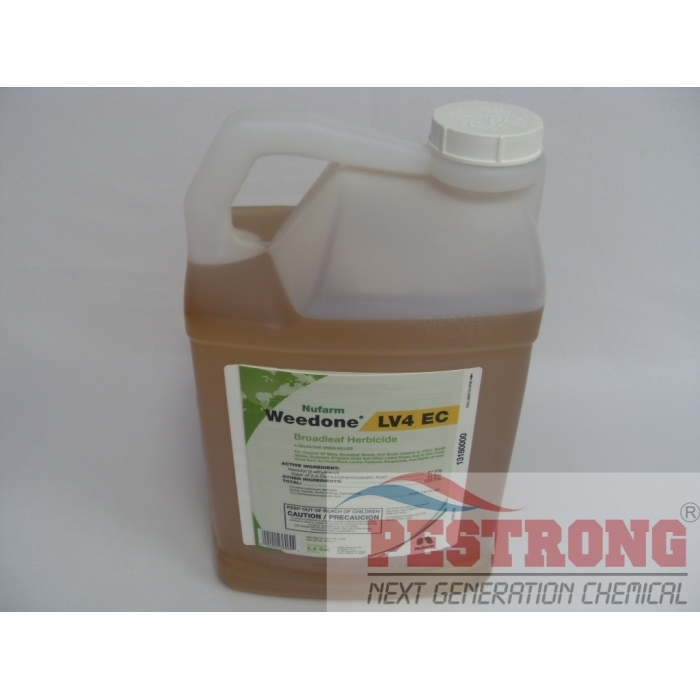 Weedone LV4 EC Broadleaf Herbicide 2,4-D Ester - 2.5 Gal was the first low volatile 2,4-D ester on the market. This product registered for use on the small grains, corn, sorghum, pasture/rangeland, non-crop and preplant corn and soybeans. High quality emulsifiers promote good mixing with all grades of fluid and liquid fertilizers and provide weed penetration capabilities for hard to control species. We, Pestrong.com may ship either Weedone LV4 (NuFarm) or Lo-Vol 4 (Tenkoz; NuFarm OEM) depends on the current stock. Both are the same product made by NuFarm. I recommend this ester, destroyed my wild garlic, good stuff. We have used 2,4-d ester for a coupe of years and found it to be the most effective broadleaf killer we have found.